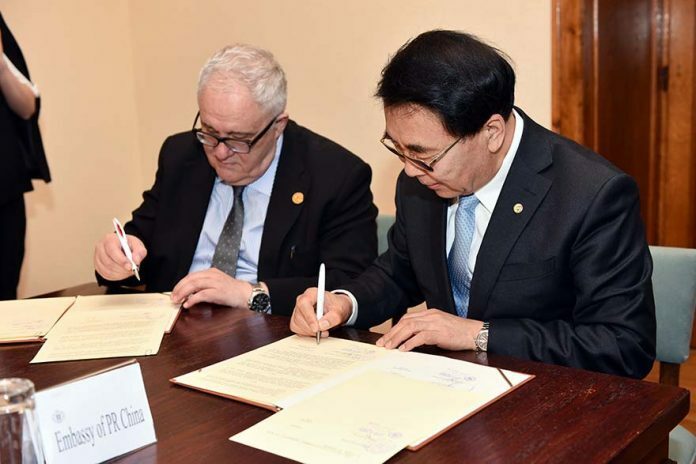 On Wednesday, 27 March 2019, a delegation of the Chinese Academy of Sciences (CAS) visited the Serbian Academy of Sciences and Arts (SANU) and signed an agreement of cooperation. Vladimir S. Kostić, President of the Serbian Academy of Sciences and Arts, expressed his satisfaction over the signing of an agreement on cooperation with one of the most prestigious scientific institutions in the world that has hundreds of institutes, over 70,000 scientists, a budget that, as he said, goes far beyond the dreams of every Serbian scientist. 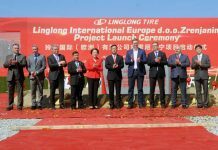 He also pointed out that China is one of the few countries that is able to bring back its best experts from abroad. 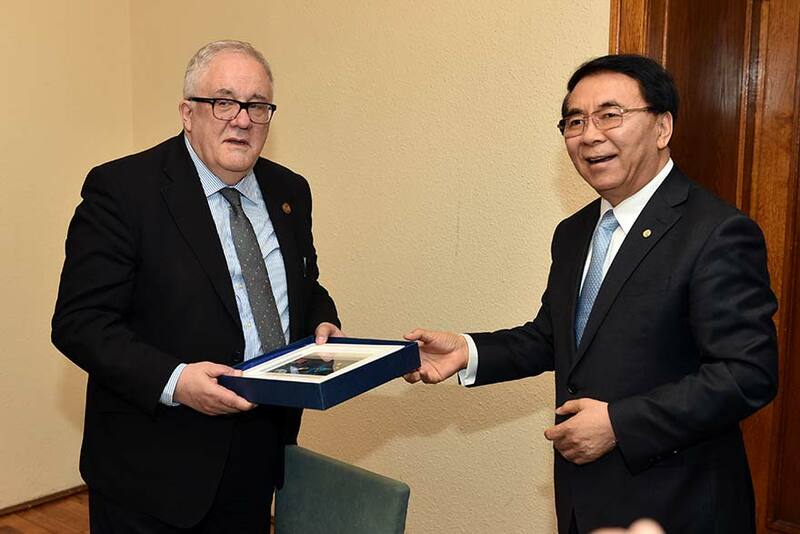 “Regardless of the disproportion that exists in the number of people and capacities, I am sure that China can benefit from the Serbian scientific community,” said President Kostić. 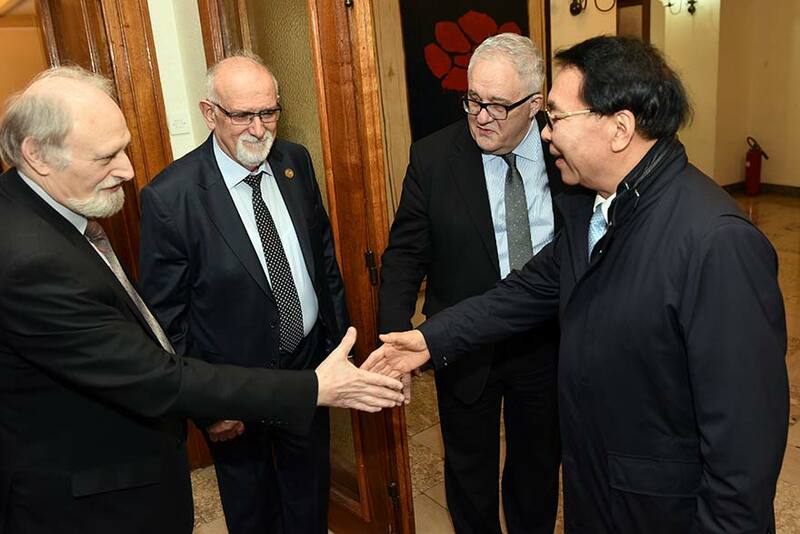 President of the Chinese Academy of Sciences Bai Chunli also expressed satisfaction with the cooperation with the Serbian Academy of Sciences and Arts, recalling its long tradition of SANU and famous scientists, its members, such as Nikola Tesla and Mihajlo Pupin. 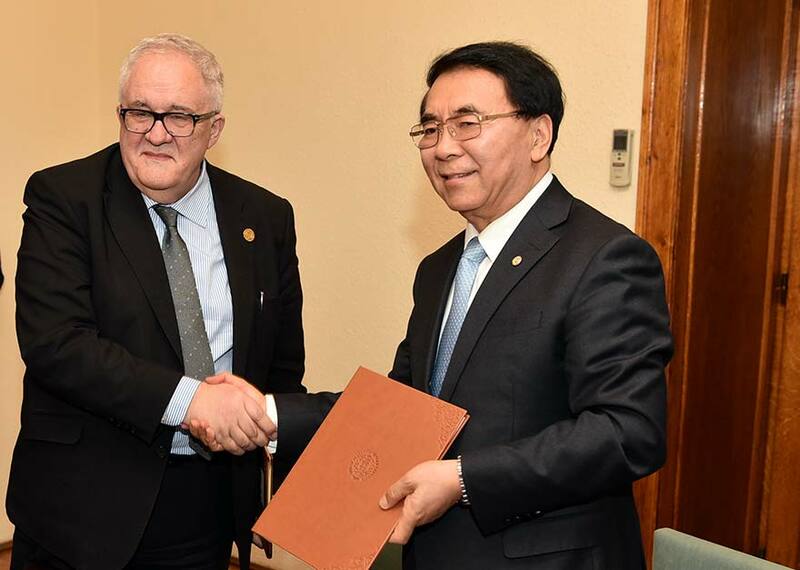 “There is a sound basis for scientific and technical cooperation between China and Serbia. 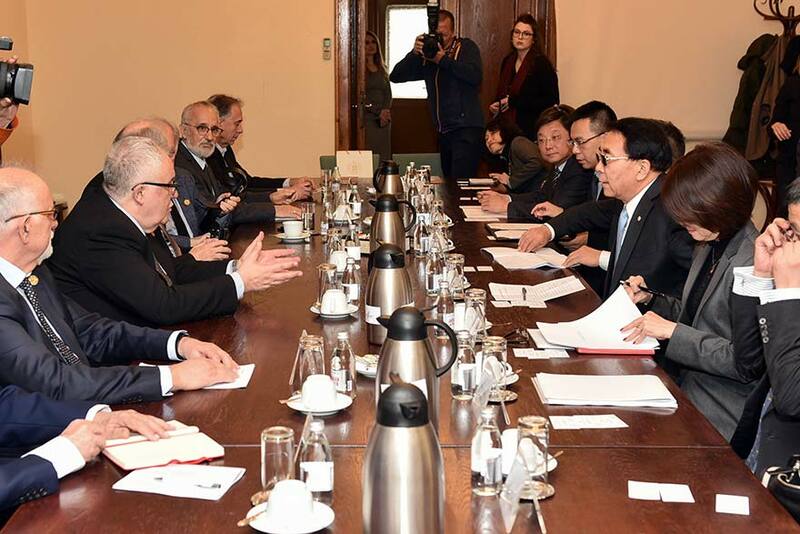 At the meeting, both sides will consider possibilities for further collaboration. Our academy has launched a number of projects that encourage the exchange of young scientists, and some of these projects include scholarships for students and experts. 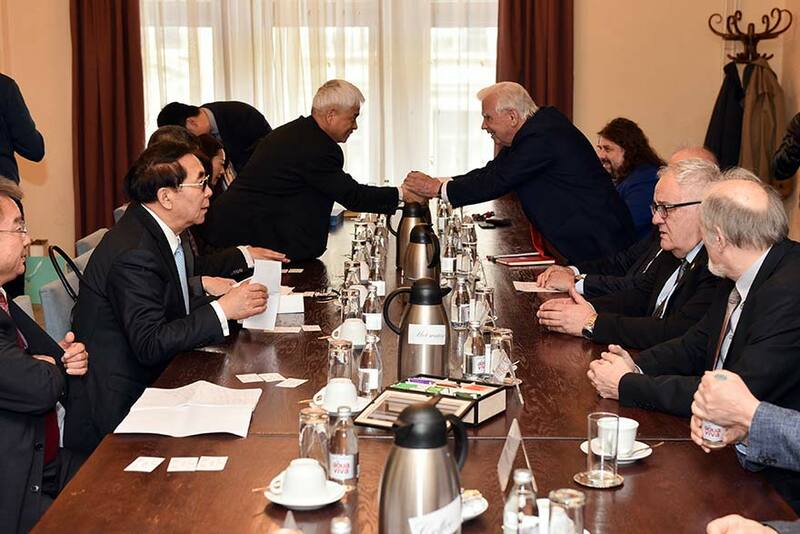 President Bai Chunli said he expects more future cooperation with Serbian scientists and research institutions, especially in the fields of natural products, new drug research, information technology and sustainable agriculture,” said Bai Chunli, President of the Chinese Academy of Sciences.